A particular type of WordPress theme that demonstrates just how incredibly flexible WordPress has become are “App Themes”.. App Themes (short for Application Themes) allow you to create unique websites with advanced functionality that’s specific to a certain — usually niche — idea, such as directory websites, job boards, project management services, booking systems, and so on. For many types of site, you could, of course, use a more general theme coupled with a number of highly specialized plugins to get much the same effect. However, it’s not always easy to get unrelated themes and plugins to gel together and create the desired effect. Far better, then, for some sites (such as those wanting to get up and running with minimal fuss) to go for a ready-made all-in-one solution. 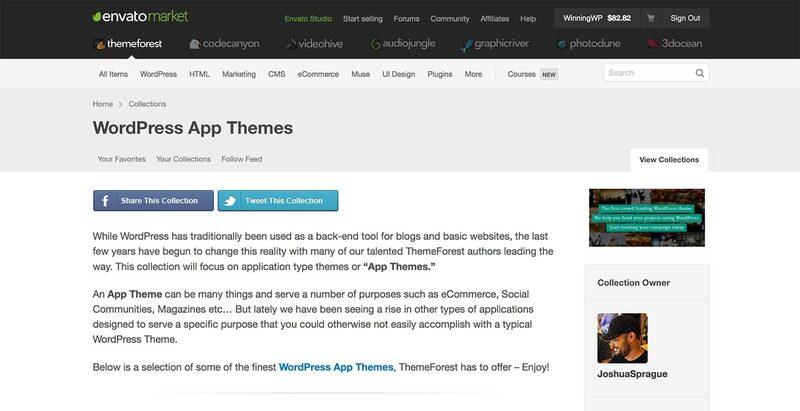 AppThemes are one of the most recognized developers of WordPress application themes in the business — and have recently celebrated their sixth year of selling WordPress themes. Impressive! 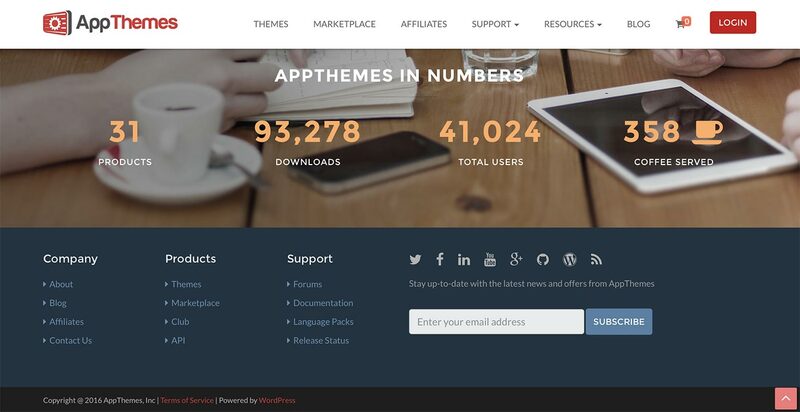 AppThemes sell six specialist app themes of their own, and an additional 233 themes and plugins via an increasingly popular AppThemes Marketplace. Themes include a Fiverr clone, a freelancer marketplace, a coupon management service, a jobs board, and more. My personal favorite is Quality Control — a theme that allows you to convert WordPress into a tracking system. Quality Control lets users create tickets, assign statuses, define categories, and much, much more. Prices at AppThemes start from $99 for a single theme with 12 months’ support and updates. Access to all of AppThemes’ designs, as well as all 20+ AppThemes-built marketplace items, costs $199. 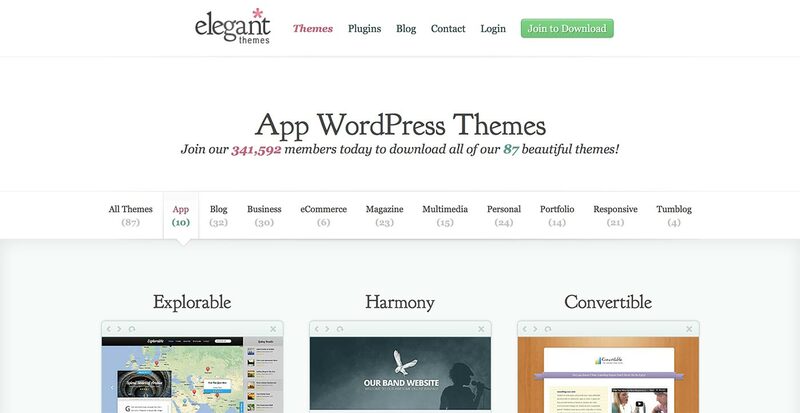 Templatic offers 87 WordPress themes — a whopping 53 of which are classified as app themes. They have app themes for directories, real estate websites, restaurants, daily deal websites, hotel reservation systems and other booking websites, but one design I find particularly interesting is Publisher — a theme that’s been created to help you set up an online store to sell digital products, such as eBooks. Publisher is powered by Templatic’s Digital Downloads and Tevolution plugins — both of which are included with the theme — and you can integrate your store with eJunkie, or link directly to a sales page on Amazon. There’s also a coupon system to help you promote your products, and, in the back end, you can manage orders and generate reports on sales. A single license for a Templatic design retails at $65, and offers one year of support and updates, while stepping up to $99 will grant you access to the original Photoshop files. The final option is to join the Templatic theme club for a one-off fee of $299, which will give you access to all 73 Templatic templates, and will remove the need to pay yearly renewal fees. 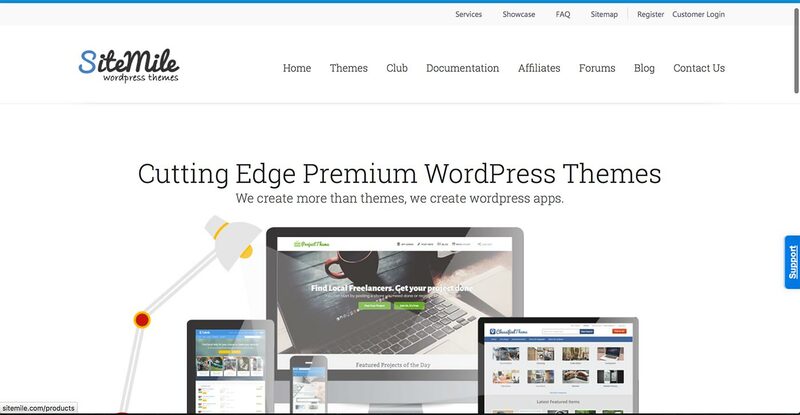 EngineThemes have been making strides into the WordPress theme market since they first launched almost three-and-a-half years ago. 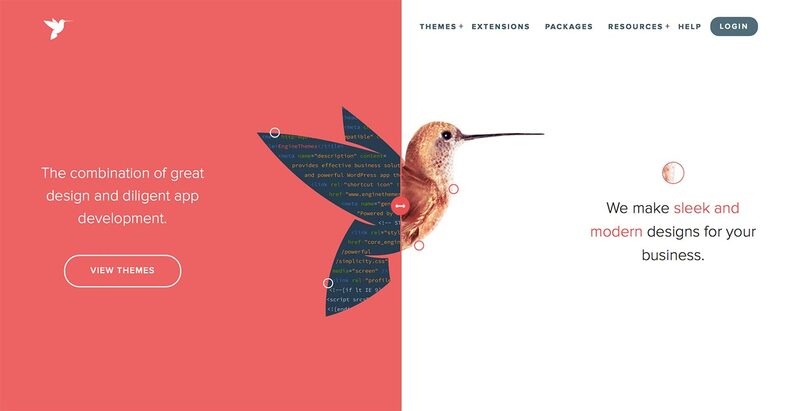 They currently offer a collection of 13 application themes, all of which look absolutely stunning. They have app themes that can transform your website into a job board, a discussion forum, a hotel reservations system, and more. To me, though, the theme that stands out the most is FreelanceEngine — a professionally designed marketplace theme that’ll help you easily create your own freelancing marketplace. FreelanceEngine lets you charge users to upload listings — either on a single-fee basis or by creating package plans. Additional fees can also be charged for making listings ‘featured’ (i.e. made to stand out). All EngineThemes’ themes and extensions can be bought separately. Alternatively, they also offer three club packages — ranging from from $199 to $689, depending on which themes and extensions you wish to gain access to. Update: For more on EngineThemes, check out our new in-depth EngineThemes Review! Another long-standing app themes provider, SiteMile have been in the business for as long as AppThemes, and have 12 app themes on offer — including a classifieds theme, marketplace themes, a directory theme, and a jobs board. 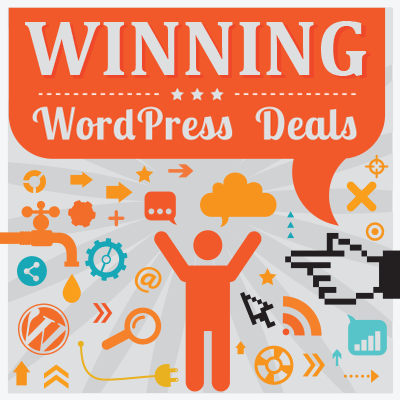 One of their most popular themes is DealPress — inspired by group selling service Groupon, it allows you to create a daily deal or group buying website. Customer payments can be accepted using PayPal, and you can also integrate Google Maps into your deal listings, while users can upload their own deals and get email notifications when someone has purchased something from them. A single license for a SiteMile theme starts at $69, and goes all the way up to $199 if you need additional developer options and priority support. Access to all themes starts at $199, with a yearly renewal fee of $39. 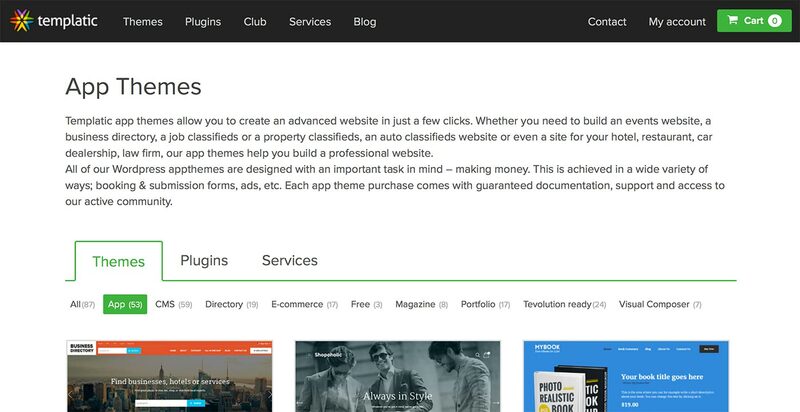 Another hugely popular app theme provider (currently boasting more than 30,000 customers), PremiumPress offer 13 specialist themes — including a directory theme, a microjob theme and a classifieds theme. An individual theme from PremiumPress will set you back $79, or, if you prefer, they offer a VIP Club giving instant access to all of their themes and products for $599 (currently reduced to $249). 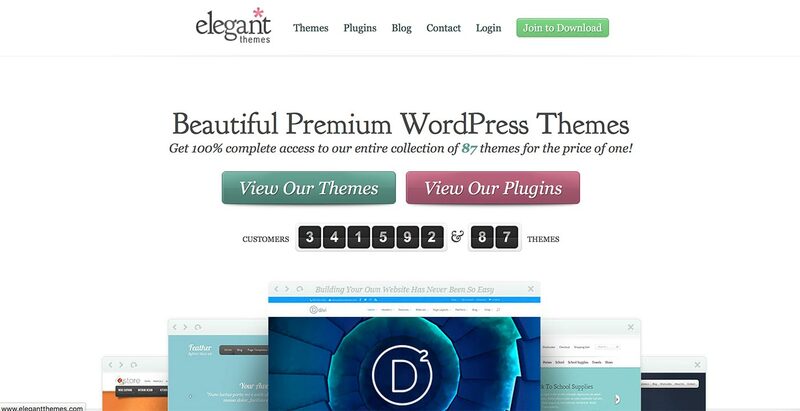 Elegant Themes are one of the most respected design companies within the WordPress community. Their store has 87 WordPress themes — ten of which are app themes. There’s plenty of variety in their app themes category, ranging from a simplistic business card theme to more advanced themes — such as their review theme, InReview, and their real estate theme, ElegantEstate. My favorite app theme of the bunch is Explorable — a design created for travel blogs, directories, and guides that allows you to assign a location to all of your blog posts, and then display them on a location-based map. 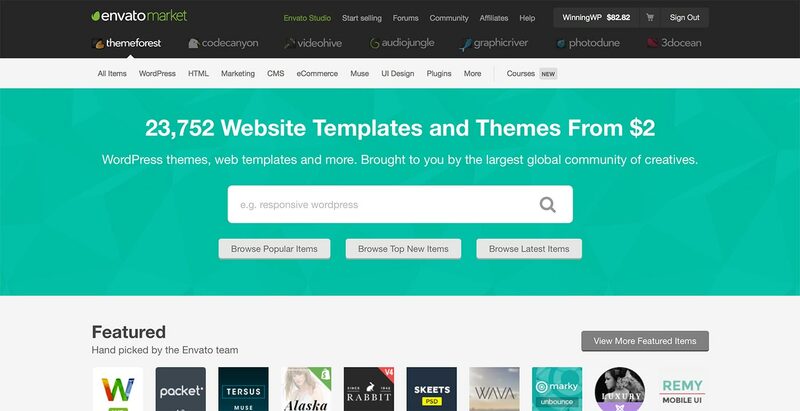 Their app themes are all included in ElegantThemes’ membership plans; a personal plan for ElegantThemes retails at $69 per year, and grants you access to all 87 themes. The developer plan costs only $89 per year, and, in addition to giving you access to all 87 themes, it’ll also provide you with all the original layered Photoshop files and access to all Elegant Themes plugins — such as their superb email optin plugin, Bloom; an extremely popular social media sharing plugin named Monarch; and their relatively new WordPress page builder plugin, Divi Builder. 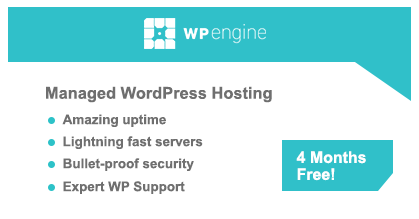 Lifetime access to all themes and plugins can be purchased for a one-off fee of $249. It’s no surprise that, in addition to an absolutely huge range of regular WordPress themes, ThemeForest (the largest online theme marketplace) also offer a specific collection of WordPress app themes. They currently boast a collection of more than 20 specialist themes in their app themes category (although, truth be told, they also have hundreds of other themes assigned to other categories that could arguably be loosely classified as application themes). One of the benefits of design marketplaces is that the themes come from a wide variety of designers, ensuring a vast range of designs and functionality is available within each category. In the app themes category, there are FAQ themes, jobs boards, reservation systems, dating themes, and more. One of the most unique app themes available here is Rescue — a theme designed from the ground up for animal shelters. With a simple yet highly functional design, Rescue offers great support for photographs and the ability to integrate it with pet adoption service Petfinder. It also supports all the same animals as Petfinder: Dogs, cats, birds, barnyard animals, horses, pigs, small and furry, and reptiles. The prices of the various app themes vary — Rescue, for example, costs $53. If you’re looking for a niche theme with a heap of specialist functionality built in, an app theme may well provide exactly what you’re after in one fell swoop! The alternative to using an app theme is to piece things together yourself using a range of different plugins and/or custom code — and, if you have needs that can’t be met any other way, then this may well be your only choice. It’s probably also worth mentioning that, even if you can’t find exactly what you’re looking for off the shelf, if you can find something close to what you need, it may well be possible to use that as a starting point upon which to build. Ultimately, however, the decision of whether or not to use an app theme comes down to your individual needs. Good luck! Know of any other great places to buy WordPress app themes? I think using a theme closest to what you might need as far as functionality is the quickest and best start. Depending on your coding skills, you can then customize the look and structure of your content which at the end you end up with something that functionaly is still the same but the look and feel is completely different.